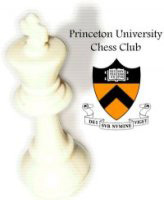 The Princeton University Chess Club will host the annual Pan American Collegiate Team Chess Tournament on the Princeton University campus from December 27-30. The tournament is open to college and university teams from North and South America, including the Caribbean. The Pan-Am has been held since 1946 and was last held at Princeton in 1960. Organized under the auspices of the United States Chess Federation, the tournament is considered the foremost intercollegiate chess tournament in the Americas. Teams of four players, with up to two alternates, will compete for prizes in a variety of categories. The top four teams will advance to the President’s Cup which is to be held in April of next year. Over forty teams are entered, making it the largest collegiate tournament since 1986 as well as one of the most competitive. Perennial powerhouses University of Texas in Dallas, University of Texas in Brownsville, University of Maryland in Baltimore County, and Texas Tech will be challenged this year by the new number one ranked team, Webster University. Other contenders include Princeton, Harvard, and Yale. Teams are coming from thirteen states, Jamaica, and Canada. The tournament will consist of six rounds. The games will be held at the Frick Chemistry Laboratory, beginning at 6:00 PM on Thursday, December 27th. Additional games will be held on the 28th and 29th, with the final round played on the 30th at 9:00 AM. Live commentary featuring GM Ronen Har-Zvi, in cooperation with the Internet Chess Club, and produced by Macauley Peterson, will be broadcasted on Livestream.com/ PanAmChess. Results and pairings will be posted regularly on the tournament website at Monroi. Information about registration and housing is also posted on the website. Jack Hutton, Co-President of the Princeton University Chess Club said “We are honored to be hosting what looks to be the most competitive Pan American Championship yet, and we are excited to see how our team performs. We are also very pleased at the excellent level of participation." Also look for US Chess Scoop coverage of the Pan-American Championships.